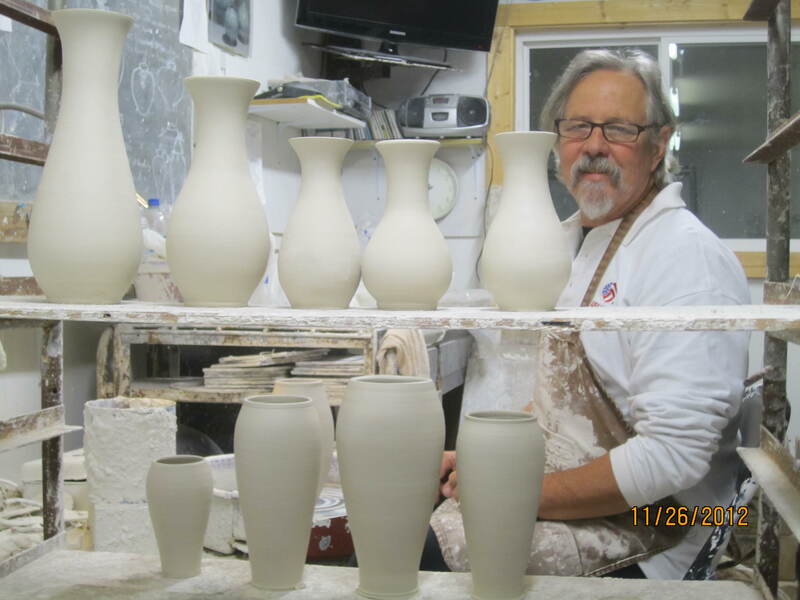 Frank has dedicated his professional career to a single glaze process. Since 1981 his focus has been on acheiving the elusive crystalline glaze. Developed in the late 1870’s in Europe as a result of the science behind galvanizing metal, Crystalline Glazes are an attempt to encourage the zinc oxide in the glaze to develop into zinc/silicate macrocrystals. This is done by melting the glaze at cone 10 (about 2400 degrees F). Instead of allowing the kiln to cool naturally, as most potters do, the kiln is turned back on at 2000 degrees. 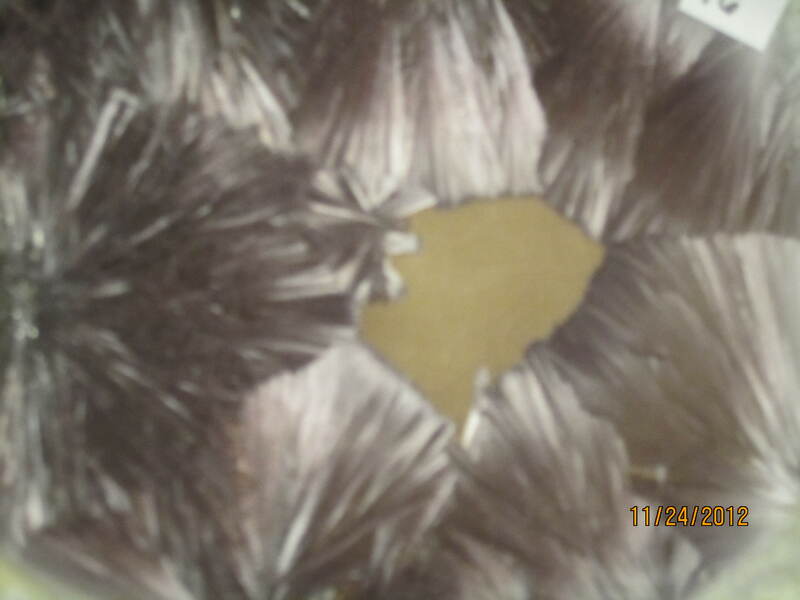 This is the crystalization point of the zinc. This temperature is then held steady for several hours, allowing the crystals to grow inside the matrix of the glassy glaze. There is a very narrow temperature window where the crystals will grow. Great care must be taken to keep the kiln temperature within that window during the growing or soaking cycle. 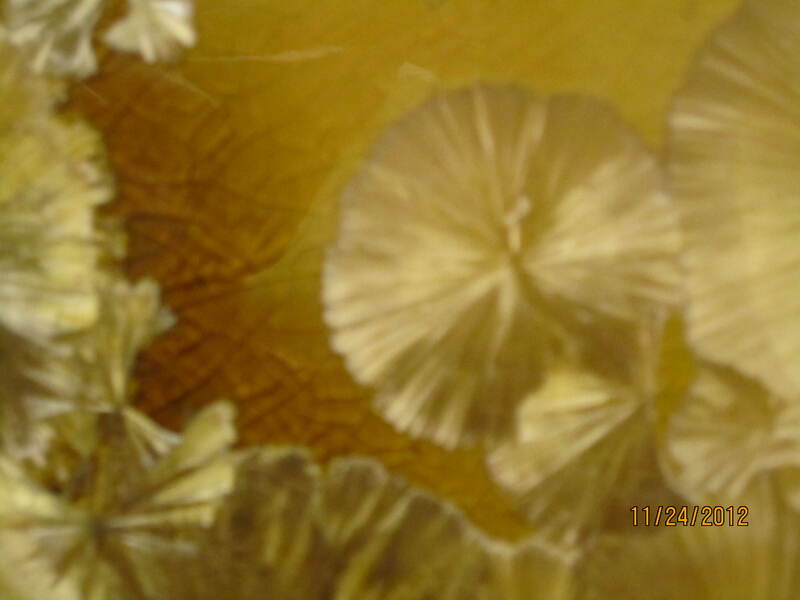 Once the crystals are encouraged to grow for several hours, the kiln is allowed to cool and the remaining crystals are trapped inside the glaze as it hardens. Additional information including formulas, firing cycles, hints, and tips are available upon request. Contact us by phone or email. SO glad we discovered you today at the Biltmore show. We bought 2 of your plates, and 2 soap dishes. Already looking forward to adding to our collection….love, love, love your work! !